iOS 11 Speed Up iPhone? According to the latest report, Apple will officially release its next operating system iOS 11. with the plan to run a public iOS 11 this summer. This information caught all iPhone users’ eyes, and even some Android users are attracted. So, recently, “iOS 11 update download” is accordingly to be the hot topic among all over the world. 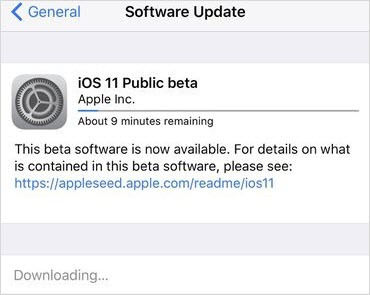 Why Should We Carry Out iOS 11 Download? Built-in Apps: A fresh technique to experience your news and great features for the apps you use daily. iPad Experience: Do more on the iPad display. That is to say, run two apps or more apps at one time together. Intelligence: iOS 11 gets even more brilliant and smarter. The proactive suggestions make your device even more helpful. Fundation: Faster performance, improved security, convenient updates, and longer battery life. And more charming features you can enjoy after installing iOS 11. What’s more, iOS 11 is rumored to be more focused on fixing bugs, and the plan is likely to be a way of further ensuring that there are no problems with the operating system when it is released. So, with both of operating system and functions improved, any reason not to install iOS 11? Believe you can’t hold back any longer to bask in the enjoyment from iOS 11. Now, let’s check together how to install iOS 11! Tap "Download and Install". Updates might download automatically while your device is connected to Wi-Fi. Once downloaded successfully, tap “Install Now”. If you use a passcode, you will be asked to enter it before installation. Last, your device will restart, and you can then experience the charm of iOS 11. Please make sure your iPhone is with enough power for downloading and installing iOS9. Please confirm if you have enough free space in your device. Connect your device to your computer, as well as open the iTunes that you have installed. Click your iDevice icon on the left upper window. In the Summary pane, click “Check for Update”. Click “Download and Update” to accomplish the whole process of iOS 11 installation. 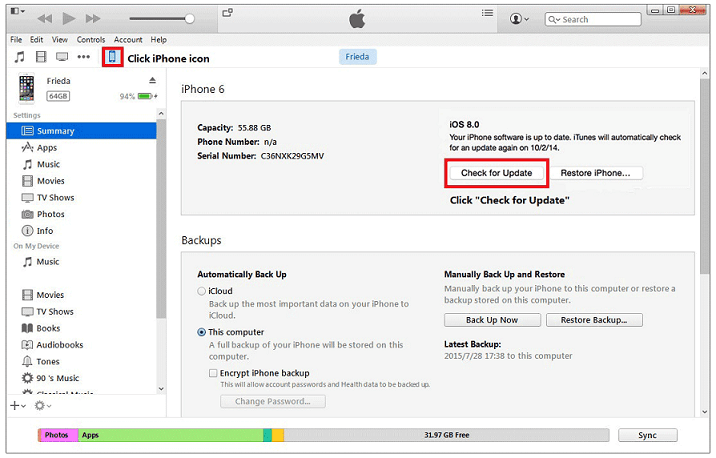 In case your iOS data lost in the process of upgrading iOS 11, it is strongly recommended that back up your data in advance! Forget to back up? Data from iOS devices lost? Get no way restoring them? Learn the right prescription from here. Or directly download below iMyfone D-Back Data Recovery for iPhone- used and trusted by millions of people, to safely and easily recover your lost iOS 11 data immediately.